Rhêmes-Notre-Dame is a totally mountain municipality of 89 inhabitants, located at 1.725 meters above sea level in the Aosta, Its territory covers an area of ​​86,70 sq. km. Rhêmes-Notre-Dame it's a common sparse of the Val di Rhêmes, side valley of the Valle d'Aosta. It is the southernmost municipality in the region. In the 1928 the fascist government unified the two municipalities of Rhêmes-Notre-Dame e Rhêmes-Saint-Georges in a single municipal entity (Rhêmes, with capital Rhêmes-Saint Georges). 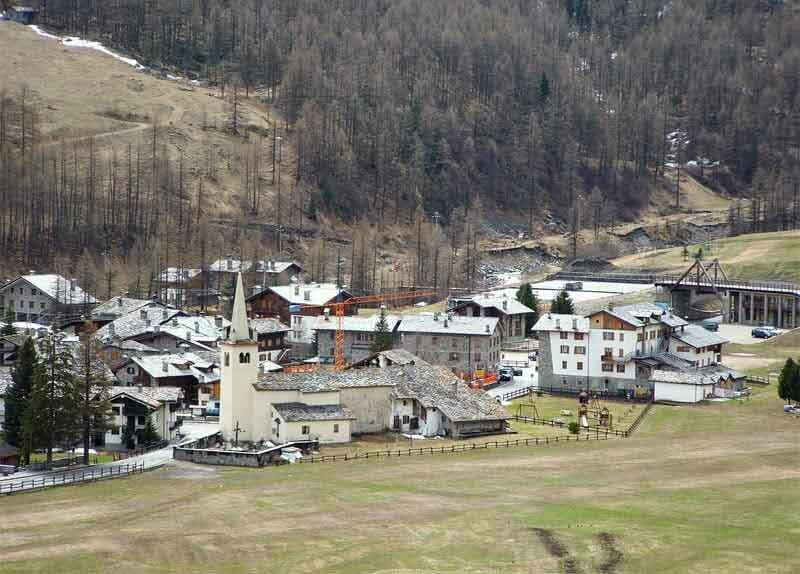 In 1939 the name of the municipality was Italianized in Val di Rema. After the Liberation, in the 1946, the two municipalities reconstituted themselves and took over the previous names. The municipality is part of the Gran Paradiso National Park. The high altitude limestone environments of the Val di Rhêmes are a site of community interest. In fraction Artalle there is a wood of monumental larch trees. The economy revolves around the tourism, mainly winter. They are present both impianti di risalita for the practice of Alpine skiing what slopes for the practice of cross country. It is also possible to practice it ski mountaineering, ice climbing and snowshoeing. During the summer it is possible to practice Hiking, Climbing and any practicable activity in the mountains. In general, it is a less crowded place than other well-known holiday resorts, which makes its points of strength peaceful and unspoilt. As for craftsmanship, important is the wood processing aimed at the realization of various objects, among which agricultural tools. Do you want to contribute to the completion of this page dedicated to the country of Rhêmes-Notre-Dame? Send us your description of the town, its monuments, its churches, your travel comments or your photographs.